NEW YORK (May 30, 2015) – The National Hockey League (NHL) and the Nashville Predators® today unveiled the official logo for the 2016 NHL® All-Star festivities, which will be held Saturday, January 30 and Sunday, January 31 at Bridgestone Arena in downtown Nashville. This marks the first time the Predators, the city of Nashville and Bridgestone Arena will host the League's mid-season showcase, which includes the NHL All-Star Skills Competition™ and the NHL® All-Star Game. Fans in Nashville got a first look at the logo design during a special NHL All-Star-themed panel at the Music City Sports Festival at the Music City Center in Downtown Nashville earlier this afternoon, where Predators CEO Jeff Cogen, Bridgestone Americas Chief Administrative Officer and Chairwoman of Nashville’s Local Organizing Committee Chris Karbowiak, and Nashville Sports Council President and CEO Scott Ramsey took to the stage to debut the logo and discuss the city’s preparations and excitement for the upcoming NHL All-Star celebration. Designed by Fanbrandz and NHL Vice President of Creative Paul Conway, the 2016 NHL All-Star logo pays homage to the city of Nashville’s deep roots in country music and the Predators navy blue-and-gold team colors, which honor the city of Nashville’s seal and flag. The typography, inspired by Nashville’s music scene and the neon signs on Broadway and Music Row, instantly connects the NHL celebration to Music City. Beginning June 2, Predators current and new full season-ticket holders will be given the first opportunity to purchase tickets for the 2016 NHL All-Star celebration. Interest-free payment plans are currently available for all season-ticket packages, with full-season packages starting as low as $15 per game and half-season packages beginning at $25. To order, visit nashvillepredators.com/seasons or contact a ticket representative at 615-770-7800. 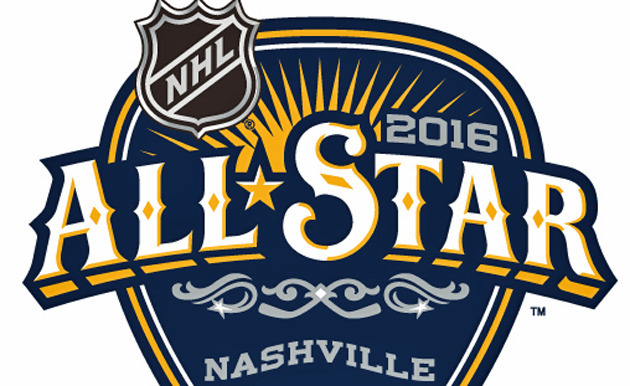 Further details on the 2016 NHL® All-Star celebration, including additional ticket information, special events and television broadcast information will be released at a later date. To join the conversation on Twitter and Facebook, use the official hashtag #NHLAllStar.